The McCormick Tract Wilderness area is located in the heart of Michigan's beautiful Upper Peninsula. The center of the Tract is two joined lakes, shown here. 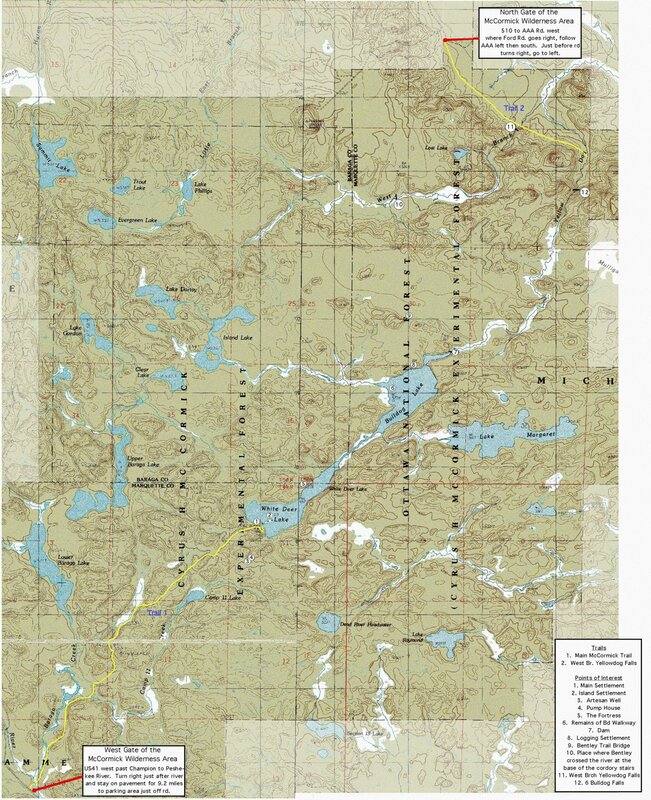 Specific directions can be seen on the topo map at WDMain.